I want to just preface this by saying, I LOVE the look of this phone. The White BlackBerry 9700 is as of this morning, now available for your buying pleasure. 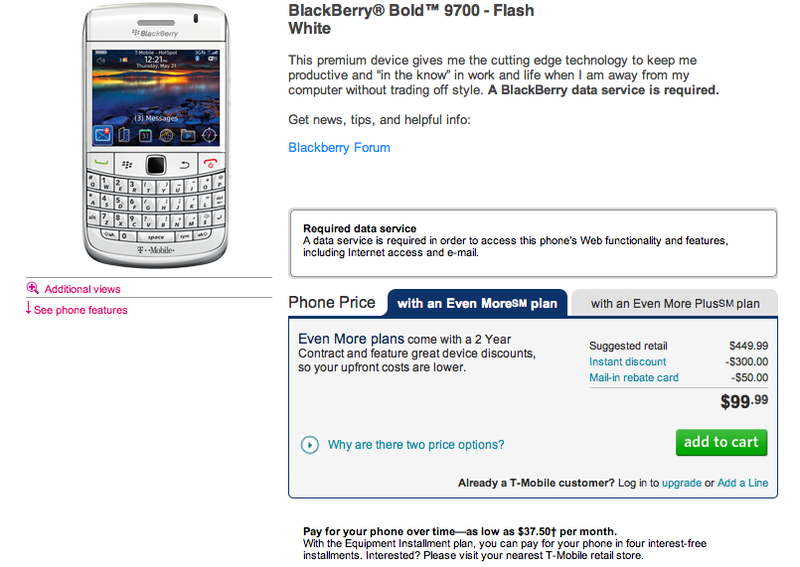 For the low low price of $99.99 after a $50 mail in rebate, the White Blackberry 9700 can be yours. Go. Buy. Now. does it have the new software? Wrong hyperlink David, that’s 8520. I’ll forgive you.